Soul Food Collective is a new phenomenon in natural, tasty, nutritious eating. We honestly believe that food for your body isn’t quite enough – there must be food with flavour for your soul too. So if naughty, nice AND good for you is your thing – look no further. 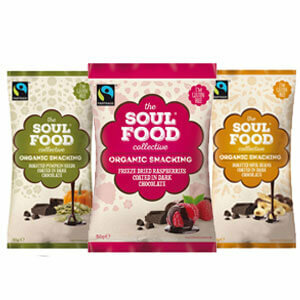 Soul Food Collective creates unique, great tasting products, based on authentic, best quality and nourishing all-natural ingredients, without compromise. 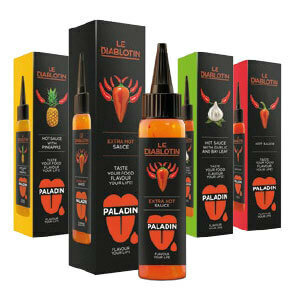 Unique in the UK: Le Diablotin, Creative, Paladin, and Il Cipressino product ranges. 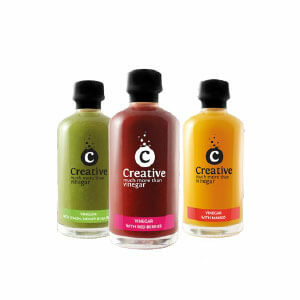 Our devilishly spicy Hot Sauces, flavour-packed Vinegars and Dressings with a fruity twist and delicious organic Italian Pestos & Sauces will bring out the chef in you. Go on, fruitify your salads and spice up your rice as never before! Bring out the devil in you !! 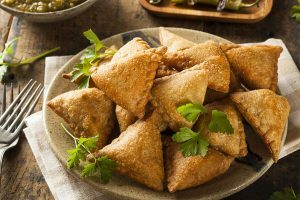 Crab Samosas with Passion Fruit Chutney Crab samosas with a fruity passion fruit chutney are perfect to serve as a snack, as part of a main meal or as party bites. Who doesn’t love an oozing camembert, baked to perfection and shared with close friends? 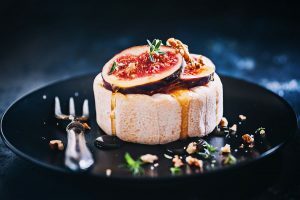 Why not jazz up your camembert with a drizzle of Creative Fig & Cinnamon Vinegar dressing and some glazed figs. 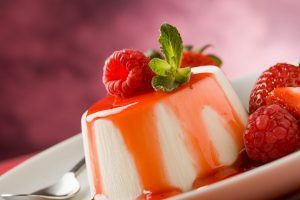 A delicious and crisp dessert to serve up to 4 people. Soak fresh raspberries in our Paladin Raspberry Vinegar to add a crisp and refreshing finish to an indulgently sweet dish. Cant wait to get these over to the UK in 2019.